I just want to wish all of my friends and followers a very Happy Thanksgiving! I am so very thankful for all of you and all of your support, always. I hope your day is filled with love, family, friends, good food, and even better books! 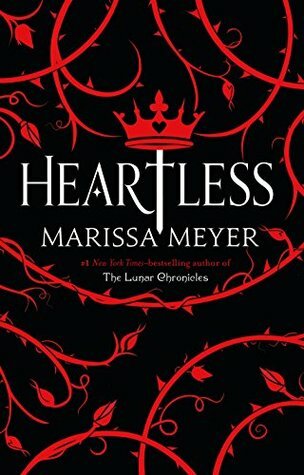 Okay, on to the book review: Heartless blew me away. If you’ve been following my reviews for a while, you will know that I wasn’t the biggest fan of The Lunar Chronicles. Yes, I know, I can barely believe it either. So, I went into this book not expecting much, and maybe that helped, because this book blew me away. It surpassed every expectation I set for a five star book, and it was nothing short of perfection. Also, regarding The Lunar Chronicles, Fairest was my favorite installment in that series, and the book I gave the highest rating. 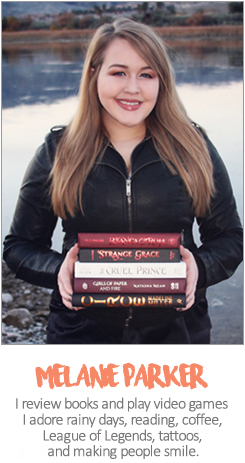 So, maybe I just really enjoy “villain” retellings? I think both Fairest and Heartless just speak to my tragic love-story masochist heart or something along those lines. I believe this is the main moral of this story, and what made this story resonate so much inside of me: You shouldn’t live your life for anyone’s expectations of you. Not your family, not your partner, not your friends, no one but yourself. No matter if we are in Wonderland or in our world, we are only allotted a certain amount of time, so spend your time doing what you love and what your heart tells you to do. I know I sound preachy, and I know this seems like a basic concept, but this is something I’ve struggled with my whole life and I know there are others out there that do too. The Queen of Hearts isn’t the only origin story for this book; we also learn a great deal about the Mad Hatter, and what was the final straw to make him truly mad. This plot reveal/twist was probably my favorite thing of this entire book, and it, along with Catherine’s madness, made so much sense to me. Hatta’s confession rebroke my heart all over again, honestly. I knew how this story would end, obviously, but that didn’t prepare me for how obsessed I would become trying to learn how we’d get to that ending. I kept trying to figure it out, and even though I guessed “the who”, I never guessed “the how”. I’m a terrible sucker for prophecy stories, but even reading the prophecy itself didn’t prepare me for what actually happened. I felt gutted, heartbroken, and was completely unprepared. When I was a young girl, I would spend countless hours on my Grandparent’s property, in all their different gardens, playing Alice in Wonderland with my Grandma. Alice in Wonderland started my obsession with finding “magical doorways” and, to this day, I still love reading about them. I also feel like a major reason I enjoyed this book is because it made me feel a lot of nostalgia to the point that I actually want to reread and rewatch different Alice in Wonderland adaptations. I am so blessed and thankful for those memories with my Grandma, and all the feelings attached to those memories. Those feelings really made me enjoy the reading experience even more, even though I know it made me a little biased. This book was the perfect amount of magical, beautiful and heartbreaking. It is written so lyrically, I feel like I highlighted half of the book. I loved it, and I love that it surprised me by loving it. I also love that it is a standalone. This is such a fantastic read, and I really can’t recommend it enough, especially if you are like me and didn’t love The Lunar Chronicles. Also, now I’m just being overly emotional and tearing up, because I just noticed that the naked back cover has a joker hat. Before, I only noticed the front had the queen’s crown. Please, my heart. This story will haunt me for some time, and I will never read Alice in Wonderland the same way. So glad you liked it! I can’t wait to read it for myself. Loved your review!